Designing a small bathroom can be a simple task or complex one, depending upon the space you have and fixtures required in bathroom. A well thought layout for small bathroom can fits eveything practically in the avilable space. Small Bathroom Layouts generally include bathrooms of 30-60 square feet. 2) Toilets or WC: The standard seat width used is 1.3 feet. Seat lengths vary from 1.5 to 1.6 feet. Proper toilet seat dimensions should have height of 1.3 or 1.5 feet. 3) Corner Shower enclosure: The standard dimensions of corner shower enclosure is 3 x 3 feet and 6 to 7 feet high. 4) Bath tub: The standard dimensions is 5ft L x 2.5ft W. Typical shape of bath tub is rectangular. 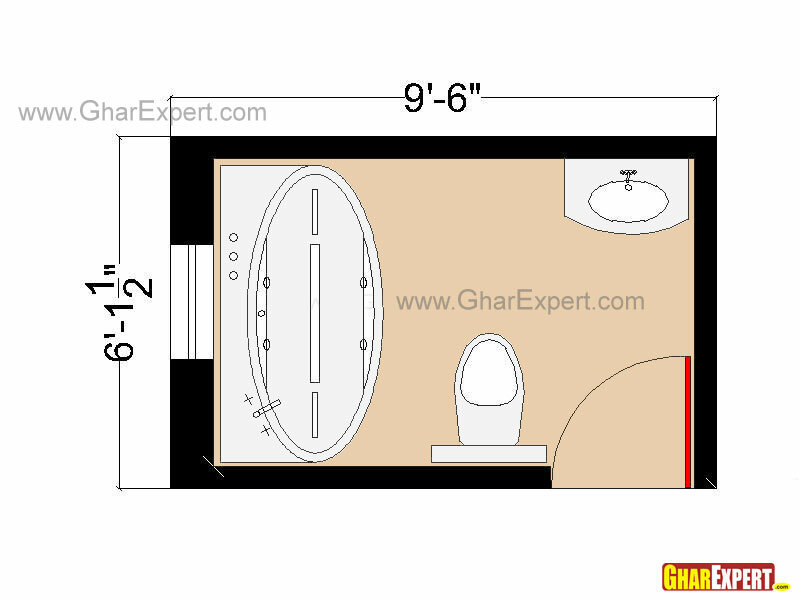 5) Sink Vanity: The standard dimensions of bath vanity is 1.6 to 2 feet wide and 1.4 to 1.6 feet from front to back. 6) Shower Cubicle: Minimum dimensions for shower cubical is 3 D x 5 W x 6 H feet and maximum dimensions depends on space available. 1. 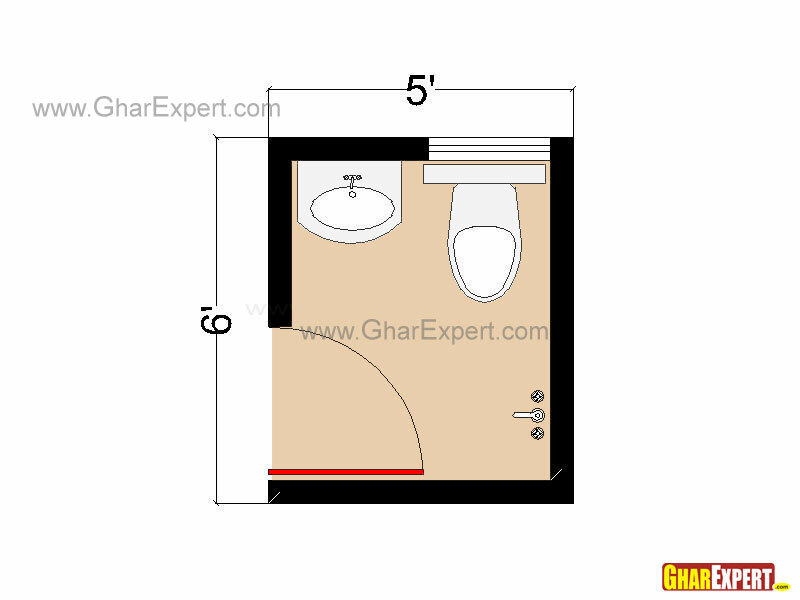 A bathroom layout of 30 sq feet can be smallest size of bathroom. It can be a master bathroom in small house, kids bathroom or guest bathroom in large house. It is basic layout for half bath. Can be utilised as kids bathroom or guest bathroom. A wall mounted shower can add pleasure to bath. 2. Next bathroom layout has 17 feet extra. You can utilise these extra 17 feet for cabinet or any storage area in bathroom. Space vaccant near sink can be utilised for corner cabinets. 3. Now we have some Bathroom layouts for three-quarter bath. 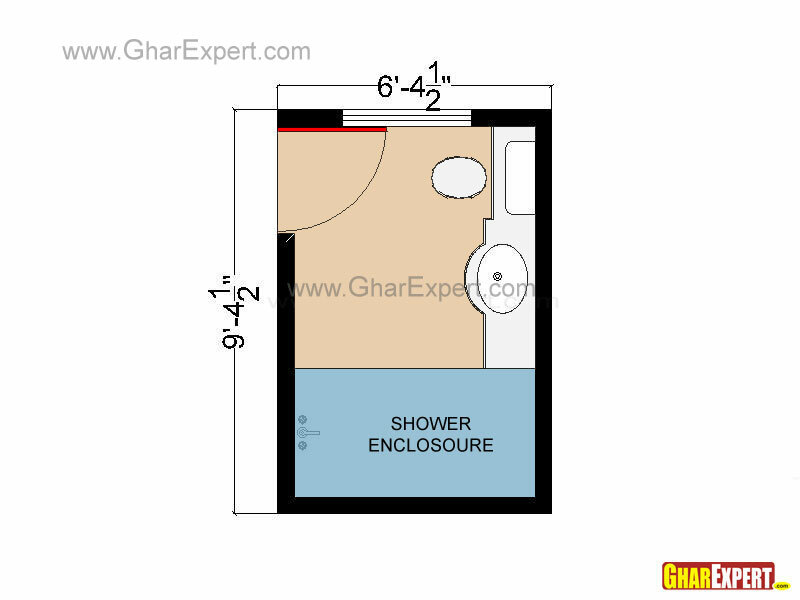 This plan gives you nice arrangement for shower enclosuser with other essential fixtures. 4. Next bathroom layout offers you some extra space for cabinets. A sliding door or pocket door will gives you some extra space for cabinets or any other decoratives. 5. Enjoy your bath with shower cabinet. This plan offers generous space for shower cabinet. 6. This plan offers you different arrangements of sink and toilet with generous space for large bath tub or whirlpool tubs. 7. 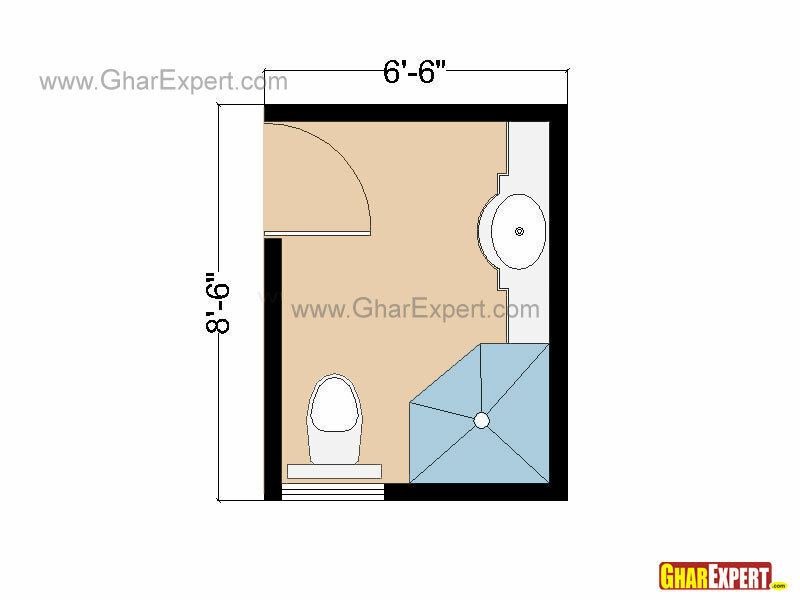 This plan shows different arrangements of fixtures for three-quarter bathroom layouts. Fixtures: Shower enclosure, sink vanity and toilet. Clear center are for dry off. 8. 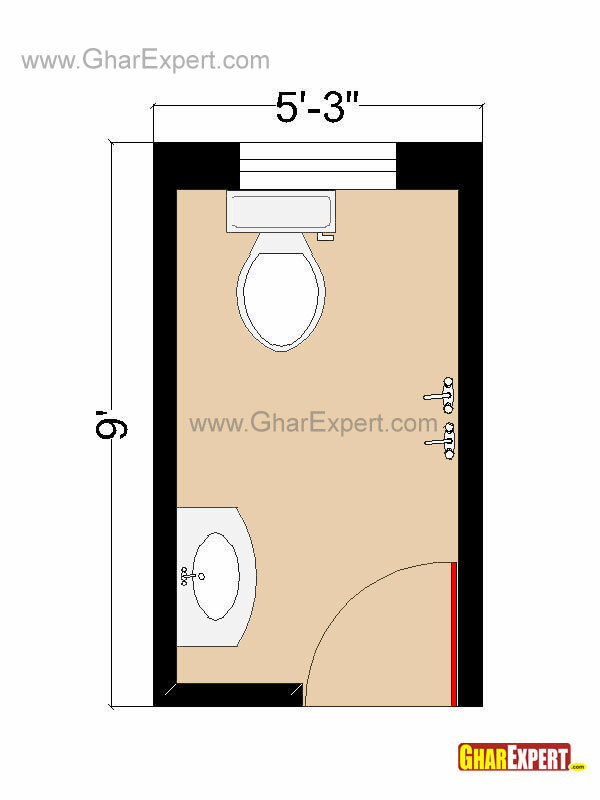 If you have square bathroom, this bathroom layout will give idea about arrangements of sink and toilet. Clear area for wash off or dry off.